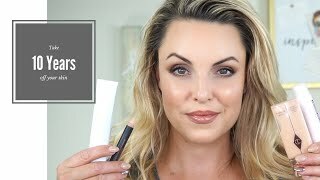 The BEST Foundations for Mature Skin | Drugstore AND High End! In this video I share with you what I feel are the best foundations for mature skin. I've tried a lot of products over the years both on myself and on clients, and these are my recommendations based on those experiences. I know not everyone can afford expensive products, so I have included several excellent affordable options. 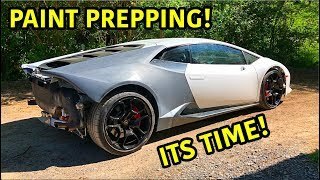 There is something for every budget in this video! I hope you like the video, and please give it a thumbs up if you do! Disclaimer: Some of the above links are affiliate. This means that I do make a small commission when you use them. I truly appreciate your support of my channel, but I completely understand if you would prefer to look up items on your own. I want to clear up a few things because even though I do address them in the video, I know not everyone watches the entire twenty minutes! :) First, I am almost 45 years old and have worked in the cosmetics industry for over 22 years. "Mature Skin" typically refers to anyone over age 35. A dermatologist friend told me that our skin starts to age beginning in our mid 20's, and that a person's biological age is not always in sync with those changes. Lifestyle, environment and genetics all play a role in how early our skin shows those signs of aging. This video is for ANYONE, regardless of age, who is dealing with the signs of skin aging. Thank you! I need help girl! I cant believe you're almost 45. What is your secret? Kate Fuller: I'd be interested to know where you've landed with your routine - I'm 63. Thanks. .... I enjoyed your reviews , and being over 55, is more of what I ( personally) consider to be " mature skin " ....; Even at 55,my skin still looked pretty good. I'm now mid sixties, and I was watching your video, as you said " mature skin / drier", ... And although " oily skin " was mentioned ( many times, lol), I still appreciate your reviews.... Having previously lived in Vegas, I ALWAYS used sunscreen ( a physical sunscreen, not a chemical one) and it seems my skin doesn't " like " many foundations.... I used Victoria Jackson cream foundation FOR YEARS, my skin loves that foundation!! Nothing I've used since has given the same results. My skin loves cream foundation and it's difficult to find, in a good form. Thank you for your suggestions, I may try a few of the ones mentioned. I hope this DOES not offend you but do you get botox or fillers? I’m not offended because you didn’t accuse me of getting them and lying about it like some others do. I do not get Botox or have fillers. I did at one time have lip filler, but it was dissolved in January 2018. Why have you stopped using Double Wear Estee Lauder? The peach foundation its to heavy because the formula its to drying and for my skin its to matte i have a combination skin but more dryer lately. Only can use it wen i mix it with some face oil and i hydrated primer. SOOOO glad you are promoting cruelty-free products! Thank you! I have normal to dry skin,i prep very good before foundation,but photoh.doesn.t work,its to dry for me..i feel old and caky..and in the past i was very oily and used matte and poreless and again this one made me to dry...my face was like the desert. Hi Risa, what shade do you wear in theToo Faced foundation? 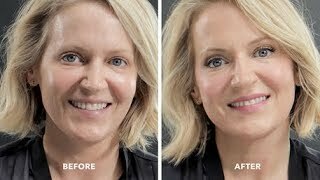 When I’m looking for products and techniques for mature skin, I’m not looking for fantasy “mature” skin or luckily and genetically young for an older person skin videos. I’m looking for what is typically mature skin. If you know anyone who has actual typical mature skin And does beauty videos, please forward their videos to me. I’d love to subscribe to their channel. Maybe your mom can make videos? I’m realizing I sound like a bitter old woman now. You know, a woman with pores and some wrinkles and some sagging. I am a woman who is vain enough to wear make up and try to look a little younger and yet not enough or brave enough to get “work” done. I'm in my early 40s, I use the Wet'n Wild Photo Focus or the Loreal Infallible....doesnt break the bank but does look good! Very informative. I also liked the fact that you were not hounding people to subscribe. I really dislike when other UScliprs start out going on and on about that before they give you any information. 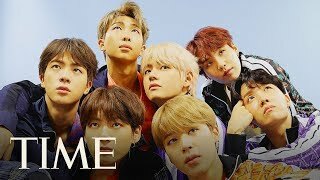 If you like the content of the video you will most likely subscribe. Please repeat the names of the foundations name at the end of each section. I'm still not sure what the final foundation is. Is it called jouer? I’m still on the hunt for the right foundation. My skin is dry year round, and this time of the year it’s crazy dry. I’ve been going through your videos trying to make a decision for my next Sephora trip. I was wondering what your opinion was with the make up for ever hd stick foundation and the Josie Marin argon oil foundation. The stick foundation says it’s best for dry skin and has really good coverage. I’m wanting a more high medium if that makes sense and i want a more natural or glowy finish, but honestly the finish doesn’t matter as long as is works well with my dry skin. I had another youtuber suggest the Lancôme skin feels good, but it’s a light coverage and the shade range is so small that I when I got online and did the shade match where you type in the shade that you wear in other brands it tells you which one would work for you and three different ones I typed in it said there was no match so I won’t be picking that one up. Sorry for such a long comment but I just really need help in this area! How can i keep foundation from settling into cracks? Great channel. Love the cruelty free recommendations. What earrings are you wearing? I have been looking for earrings like that. Have you tried The Body Shop's BB cream? I am in Love with it. I have normal to dry skin and it's not a full coverage makeup obviously but puts a gorgeous glow with a tint that promotes compliments when I wear it. What about Clinique Even Better make up? Do you have an opinion? Your skin looks AMAZING, and I LOVE your lip color!! Gorgeous!! I am 48, and found your channel through Emily. I have learned a lot of tricks already!! Thank you so much!! Great video Risa! You have great skin! I LOVE the Jouer foundation. I have dry skin and I use it on scars and then use another more dewy foundation after. It works really well for me. I would love to know your impression of the IT cosmetics CC cream. I have an oily T zone and normal in other areas. It seems the Maybelline Fit Me keeps my nose much less oily. Thank you for a great video. Your face looks flawless. Wht are u wearing? Thnx u sooo much for this review on mature skin that can u these foundations. Can we do concealers and blurring products? Wet and wild is wonderful for mature skin. I'm 52 and I get dry on my nose and around my mouth in the winter, but most of the time I still am oily in the t-zone. Guess it's good for wrinkles. I love IT foundations, CC, Bye Bye. I like them all. +Catherine Whittaker "Sonrisa" does mean smile. "Me da risa " means "makes me laugh." It's an expression I would use when I find something funny and it causes me to laugh. Do you lighten your eyebrows? Hi Michelle! No, I don’t. I actually have super light, sparse brows that I have to fill in daily. I just want to know what is the best Primer for Mature Skin for 50_55 young women. Normal Skin/ but needing Full coverage.Minimal wrinkles. I have a lot of different foundations of all price points and this is one of my favs. My skin is normal to dry. Thanks for sharing all this great info bella! Its great that you re used a product you didn't love on someone else skin and liked it! Hi Risa, Just now watched your video, which I enjoyed. I have mature skin with very few wrinkles . No crows feet either. I take very good care of my skin. Do you have any opinion about Sephora liquid makeup in the pump? 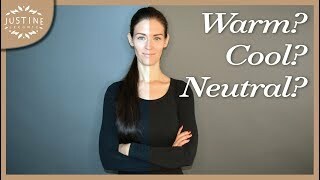 Just watched this video and would have loved to see a product list for your look in the vid as well! Very pretty so would have probably bought them all! Do you remember which foundation you're wearing in this video? Looks great! Glad I found your channel. It’s been quite helpful. I am 42 and don’t feel comfortable with the younger USclip tutorials. If I put on concealer the way they demonstrate, I would notice lines in places I never knew I had 😱 and I can’t draw on eyebrows like a cartoon. I doubt my job would appreciate that. I think most of the girls look beautiful but their looks are simply not for me. I want to look like myself but in a tasteful way. And it doesn’t bother me when people say they like my makeup. It’s obvious I’m wearing something since you can see my eyeshadow and mascara. I just don’t want to look like a caricature of myself. Thanks for your useful tips. Absolutely agree. In addition to that, most of the younger UScliprs (and some of the actually-not-so-young-any-more-but-acting-as-if-they-were... I will name no names) are sponsored in a way or the other, whether they admit it or not, so their opinions are not completely honest. More mature UScliprs (there are so few, alas!) are really focused on the quality and actual performance of the products and, not being paid for what they say, they are truthful in their opinions and much more careful in testing and reviewing the products. no worries..As we age, to me powder is absolutely no no..It settles into any fine lines.. I don’t hear a lot about foundation for dry skin. I have such dry skin. I just subscribed and hit the notification bell, could you please return the favor and subscribe to my channel and hit that little bell to become a member of the GramFam? We're going to be starting to upload videos very soon, just need to heal some more from having skin cancer cut out on my face. Thank you for all the suggestions! I looked some of them up before scrolling down to see you'd listed all the products, much easier than backing up the video countless times to hear the names of the products! 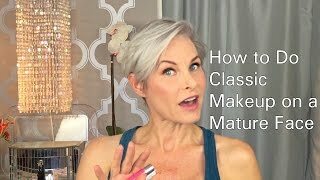 Thanks for clarifying what "aging skin" means in the cosmetics industry; this helps me to understand why some of the women in other videos on the same topic look so young (30's to 40's). I'm in my late 50's and my concept of "aging" keeps going up as I see my beautiful 93 year old mother age (and as I age). BTW my mom still wears full makeup, jewelry, lovely, colorful clothes when she goes out and she doesn't worry about all the wrinkles around her eyes on on her neck. I am cruelty-free as well and there are a lot of good companies now that are vegan and cruelty-free. Perhaps a video for all of us out here who are learning about the cruelty-free lifestyle, it would be greatly appreciated, I know this because there is so much discussion in vegan groups about makeups. Can you share what you are wearing on your lips, the color is beautiful. I don't like foundations. When you sweat they melt off or they come off when you wipe sweat off. L'Oreal also makes a demi-matte in the 24 Hour formula, I love it! 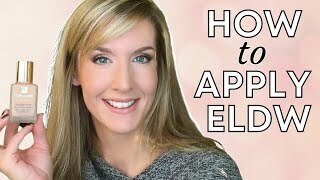 You are so cute and very knowledgeable, I learned so much in one sitting by watching this, all the way through. Thanks so much. Risa, I bought and tried the Jouer foundation because I also have oily skin. I was so excited to try it when it came in the mail. I have worn it now 2-3 times and am so disappointed. It accentuates my pores and cakes in my fine lines. Am I doing something wrong on the application? I tried using a brush and also a beauty sponge. It just makes my face look full of holes. I am 62 years of age so I am certainly a mature skinned lady. Do you have any tips for me? I am determined to continue to wear this foundation do to the cost of it so it is not wasted money. I also apply the stri vectin blurring cream to no avail. My pores look large enough to park cars in them. Your skin and makeup always looks so beautiful and flawless. I do not seem to get this effect with other foundations that I have and use though. What can I do? Thanks so much. Hi Cookie! I am so sorry to hear this! How much are you using and is your beauty sponge damp? Try using the tiniest amount(like the size of a pencil eraser) and see how that goes. Also, you can try mixing in a touch of your daily moisturizer to thin out the consistency. Let me know if that helps! I had oily, blemished skin until I was 60. Lancome Dual Finish powder was the ONLY foundation that I could use. Now I use a hydrating primer along with Lancome Dual Finish. I pray that they never discontinue it! I googled the question about L’Oréal. The info on their FAQ’s is interesting. I believe in “Cruelty Free”. Well, you can read it and make your decision. I am aware that L’Oréal is not cruelty free. I say that when I talk about the Pro Glow foundations. I try my best to buy cruelty free, but I am not a cruelty free channel. When it comes to “best of” videos, I show all brands regardless of their CF status. U need to google who owns Armani. They are not cruelty free. I am aware of that. I did state that in this video I was going to share both CF and non CF brands. WOW...... Risa, Your skin just looks more flawless in each new video you post! You look amazing! absolutely beautiful :) Please share what new things you're doing? Sounds like I need to try the Jouer Essential High Coverage Creme Makeup. What do you recommend to prime with when using​ it on the super old dry skin.......LOL? What age is considered mature skin. If you say 30s I'm going to flip a table because that's not mature skin to me. Mature skin I believe starts at 45 when the body's natural aging process speeds up. Before that, any signs of aging is largely due to poor skin care, poor health and bad habits. So if you're under 45 and you have wrinkles, it's the accumulation of sun exposure, free radicals act. But after 45 it's due to the speed up of aging and hormone changes. You nailed it and the color of your lipstck looks perfect on you. Love your video. Have you tried Young Living's Savvy Minerals make-up? Is "Young Living Savvy" makeup with the Essential Oils (Young) ? Thank you! No, I haven’t heard of that brand. I need to find a foundation that is good coverage and I have oily skin and that last long not transferrable I get foundation all over my coat blouse?! 'Help"! Do u still feel lar merce is the best for older mature skin. I have shiny skin. Prob still oily in tzone and could have smaller pores. Do u feel it is still light enough for mature skin? Hi there, I have been working in the beauty industry for over 22 years where mature skin is classified as 40+. I am nearly 45. I have seen women as young as 35 make “Mature Skin” videos. Our skin loses firmness, elasticity and we begin developing fine lines starting around age 35. Of course our needs will be different at 40 versus 55 or 65, but I created this list to include what I felt would work for the majority of women over 40 with all skin types. Can you type out the number one makeup on here? It is hard to read it on the video. Thank you. I use a Burberry foundation that I love as well and I'm 50 with dry skin. Didn't know if you had tried. Thanks for the info. I too absolutely LOVE the Too Faced soft peach ! It just looks so soft, pretty and touchable! I can't wear the pinker tones either, they turn an ashy beige gray on me. BUT I would LOVE to try the Jouer since you like it so much and say it is so nice! My ONLY problem is that if it is like Estee Lauder Double Wear (I loved the coverage and look) BUT IT OXIDIZED SO BADLY ON ME, EVEN when I used a shade or two lighter! It looked like I used cheap liquid Bronzer, smeared it all over and left it looking like a clown. It got SO dark Orange brown in just an hour! THEN it continued to darken the longer I wore it! I looked like a different ethnic group. I am very fair and I couldn't BELIEVE how orange, muddy looking dark it was! I would love to try the Jouer but was wondering, DOES IT TURN ORANGE TOO??? I HOPE not! I really liked the coverage of the EL DBL wear , just not the bad magic color changing act! LOL! The last pick that is your favorite, if it’s high long lasting is it too heavy for creases. Almost 53 and I still get shiny. I find it hard to match my color in a drug store. It's usually too light or too dark because I am fair skinned.